Imola, May 22, 2018 – Everything is ready for the second edition of the Hankook 12H Imola, scheduled for Thursday 26/5 to Saturday 28/5 at the Autodromo Internazionale Enzo e Dino Ferrari. 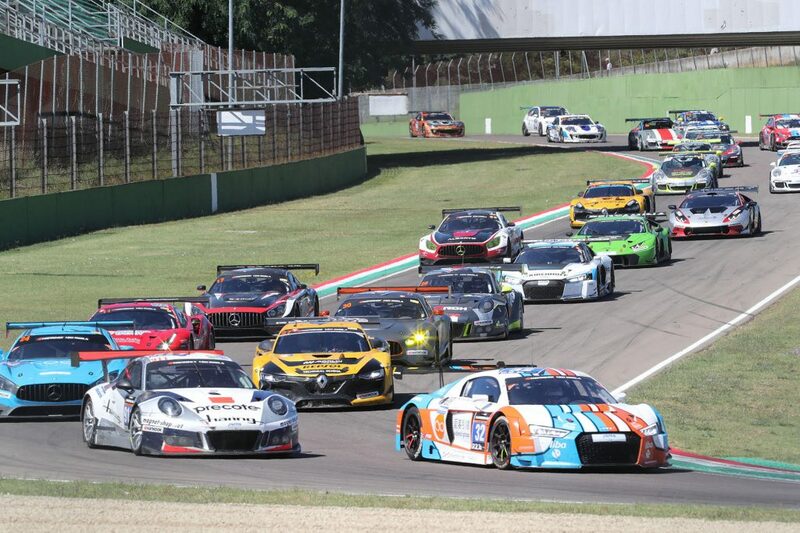 The race in Imola has an interesting new addition: for the first time, there will be two starting groups, one for GT vehicles and another for TCE. There will be more than 50 cars on the starting grid taking part in the third round of the 24H GT Series’ European Championship and the second round of the 24H TCE Series’ European Championship. The Hankook 12H Imola will see many cars hit the track with 28 in the 24H GT Series and 24 in the TCE Series, for a total of 52 vehicles. As we mentioned, for the first time there will be separate starting groups for the GT and the turismo cars. A new addition that is starting in Imola because until now the only competition was for the pole position in each category. In the GT sector, the A6 class will have teams racing vehicles from Audi, Ferrari, Mercedes-AMG and Porsche. Last year, the German team, Car Collection Motorsport reigned victorious in the first edition of the 12H Imola and this year has every intention of repeating their success. There are great expectations for the 991 class with 11 vehicles from the Porsche Cup registered. A Focus from MARC and a BMW will be racing in the SP2 class, while a Mercedes, a Porsche and a Ginetta in the GT4 class complete the GT set. With 15 cars registered, the TCR class is the principle driver of the tourism car division and is also the most numerous on the starting grid. There are cars from Audi, Cupra, Hyundai, Peugeot, Seat and Volkswagen. The SP3 class has two BMWs facing off with a Ginetta and filling the rest of the turismo division is a collection of BMWs with one in the A3 class and three BMW M235i Racing Cup in the CUP1 class. The first four-hour leg of the race is scheduled for Friday from 15.30 to 19.30, while the rest will take place on Saturday from 11.30 to 19.30. The 7 Race Series are the official division of the event, with one race for every series Friday and Saturday. Free entry to the Paddock and Tribuna A Friday and Saturday.